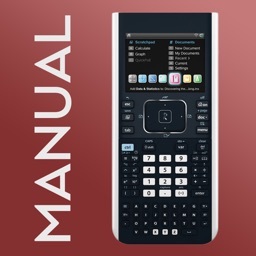 The TI-84 Graphing Calculator Manual app is ranked TOP 25 Education USA! 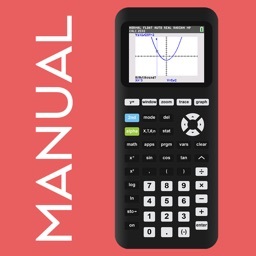 • This manual shows all important functions of the graphing calculator TI-84 Plus, which are very useful for high school and college. Actual calculator not included! 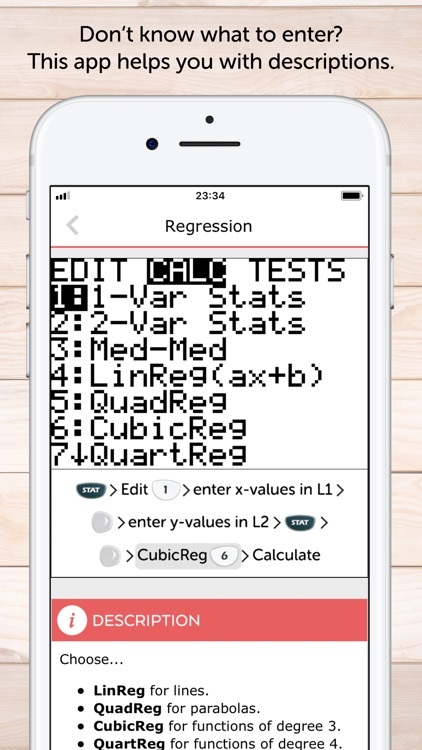 • Also suited for TI-83 Plus, TI-84 Plus Silver Edition, TI-84 Plus C.
• The app shows the exact key press sequence for 46 topics. 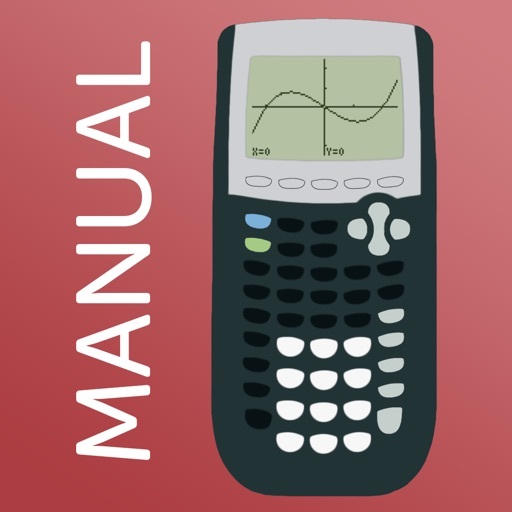 It covers the chapter:s First Steps, Graphing Basics, Differential Calculus, Solve Equations, Integral Calculus, Matrices and Statistics & Probability. 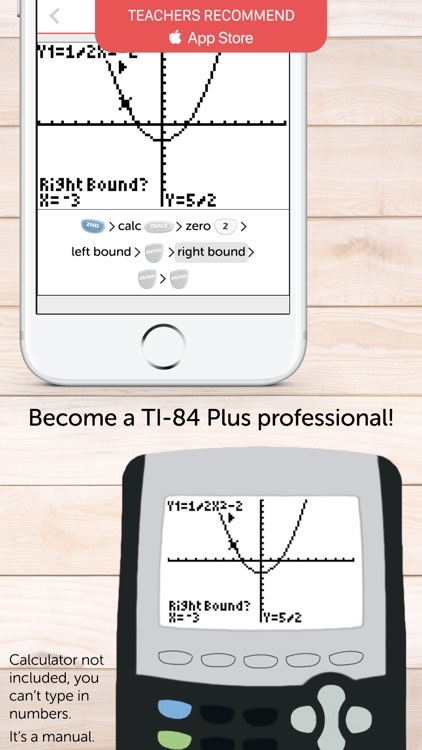 • You can swipe through screenshots of the original graphing calculator which show every step you have to do (220 screenshots in total) or watch small animations to see how it works on the TI-84! • Additionally, there are helpful descriptions of further knowledge and useful tips. • More than 60 math problems with solutions to practice your skills! 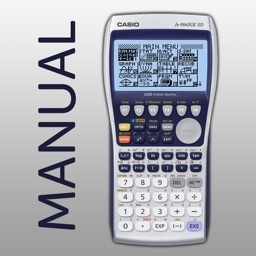 • Every topic shows a detailed instruction through screenshots of the original graphing calculator TI-84 Plus which explain how to use the calculator. 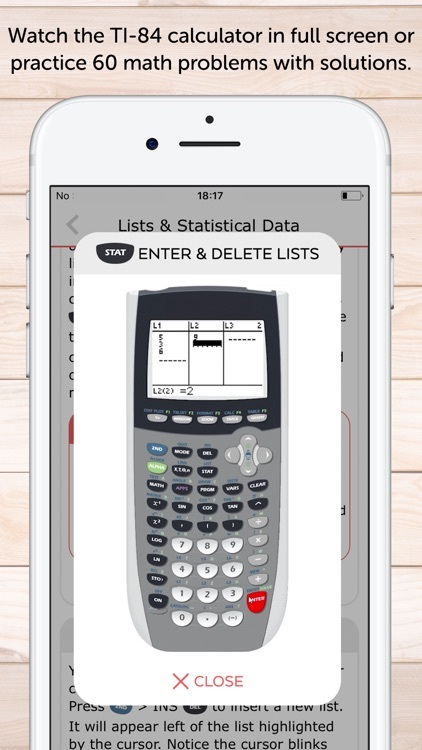 You only have to swipe right to get the next screenshot which looks similar to your calculator display! • The app guides you with easy to understand explanations and offers the ability to show animations. It's like your virtual teacher. 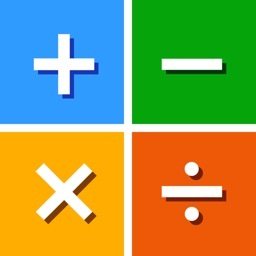 • The app is also ideal for exam preparation as you often don't remember all instructions of the calculator after several months. 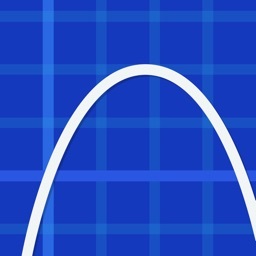 It covers all you need to know for the ACT and SAT. 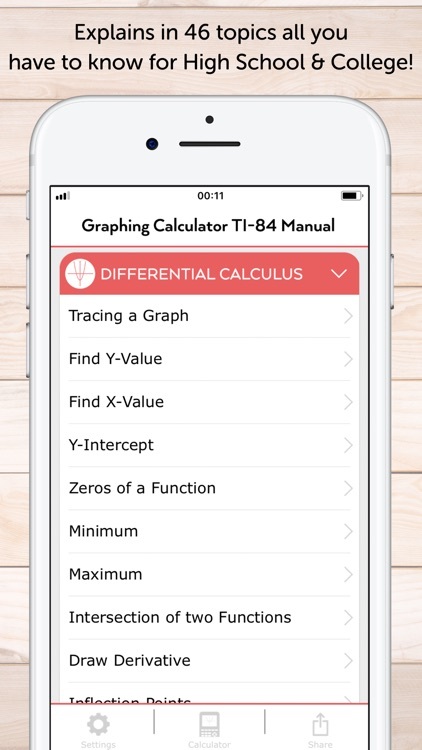 • Your teacher will be grateful as well because he doesn't have to walk around the classroom until everyone's calculator shows the right solution. You only have to take a look at the app and know how to do! • Practice with over 60 math problems and solutions. • You can practice math problems of a single topic (e.g., Zeros of a Function) or random math problems of Differential Calculus for example. 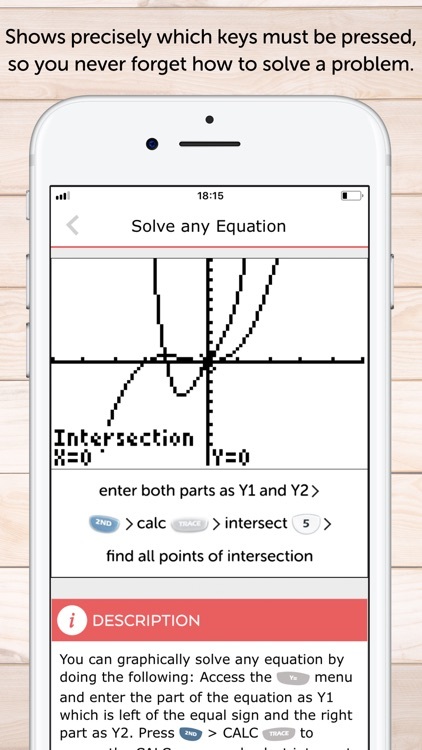 • As an alternative, the app shows you mixed math problems of all topics. NO ACTUAL GRAPHING CALCULATOR INCLUDED. THE APP IS A MANUAL!